We offer total demolition services packages. Demolition projects are done professionally with recycling and conservation in mind. Let us help with timely debris removal from storms and disasters. Quick clean up can help the rebuilding process get started quicker. Demolition and disposal of concrete or asphalt does not have to be difficult. Often these material can be recycled from driveways, sidewalks, etc. and put to good use. Let a professional guide you through the best way to remove or cover a pool no longer in use. We specialize in demolition and removal of any style of swimming pool. Everything from house demolition to smaller structural wrecking and removal like sheds, garages, decks, etc. can be taken care of. Hire a professional who knows what permits and requirements are in place to free your space up for something new. Revitalizing city streets starts with the proper, clean and safe demolition of old commercial buildings. We are skilled at the removal of larger structures such as shopping strips or office buildings. It is often necessary to demolish industrial parks, factory warehouses, sewer plants, electrical fields, etc. These highly specialized projects require an expert demolition company. Renovation projects such as kitchens, bathrooms, walls, flooring, etc. are easier with qualified demolition contractors. We provide dumpster rentals and deliveries throughout New Jersey (NJ). We offer 10-yard, 15-yard, 20-yard, 30-yard and 40-yard roll-off dumpsters for a variety of waste types including construction debris, demolition, cleanouts, furniture, and more. Rental dumpsters can also be used for recycling waste including concrete, brick & block, asphalt, clean dirt, yard waste, wood, scrap metal, cardboard, tires and e-waste. Truck / Vehicle – Hometown Waste and Recycling Services, Inc.
For more information, please contact the City’s Non-Emergency Call Center at 973-733-4311. The City of Newark’s sanitation team works tirelessly to keep our city beautiful and clean of trash and rubbish. Use the tools and information on this page to help them do an even better job. Consult the map below to determine your refuse pickup zone. Newark garbage and recycling collection is separated into two zones: Zone A and Zone B. Place trash in a sturdy can with lid or in plastic bags. Recyclables: Newspapers, magazines, cardboard, cereal boxes and junk mail. Recyclable metal: Soda cans and food cans. Recyclable glass: Glass jars, food jars and liquor bottles. Recyclable plastic: Milk jugs, soda bottles, water bottles, juice bottles and laundry detergent containers. Bulk is oversize household items such as: couches, tables, chairs, mattresses, dressers, closets, rugs, exercise equipment and vanities. (No renovation, construction debris or electronics will be collected). Only 10 (ten) bulk items can be placed outside for pickup on bulk collection day. More than 10 will be removed by private haulers at the owner’s expense. Violators will be subject to fines and/or penalties. Click here to read or print a certified copy of the newly amended bulk trash ordinance. Includes leaves, small twigs tied in a bundle. Refrigerator, air conditioners and other large appliances. Bulky household waste or bulk items means household items that include couches, tables, chairs, mattresses, dressers, closets, rugs, exercise equipment and vanities. Every residential privately owned property shall be limited to ten (10) bulk items that can be placed outside on the scheduled bulk collection day. Anything exceeding ten (10) bulk items shall be removed by a private hauler, on the same day, at the owner’s expense. Any person, firm, corporation, or entity that violates, fails or neglects to comply with the provisions of this Subsection, or rule or regulation promulgated pursuant thereto, shall be punishable upon conviction thereof by a fine or penalty. Click here to read or print a certified copy of the amended bulk trash ordinance. The City of Newark, NJ wants to help residents lower their utility bills while reducing their carbon footprint. The program is called Save Energy, Save Money, Save the Planet and is a part of the City of Newark’s Climate Prosperity Initiative sponsored by the Sustainability Office and the Environmental Commission. The program helps homeowners take advantage of different ways to recycle and help the community and their households stay green. For more information, call the City of Newark at (973) 733-4311, or to learn more about Newark’s sustainability efforts, visit Newarks Green Agenda. Arwood Waste New York, NY Division offers a variety of roll-off and construction dumpsters that are ready to meet the needs of any-sized construction or demolition project. From a small renovation or landscape project to a new building constructions, Arwood Waste provides the right-sized dumpsters, a reliable waste hauling service and competitive prices that will keep the project on time and on budget. Arwood Waste offers purchase, leasing and rental options for a variety of roll-off dumpster sizes and styles, as well as waste hauling service and maintenance options. Construction dumpsters are priced on the size of the dumpster, the weight of the trash and the costs for hauling the waste. We offer purchase, leasing and rental plans to meet any construction or renovation need. Arwood Waste offers competitive pricing and superior service. Be sure to call Arwood Waste first at 646-961-4342 to get roll off dumpster rental prices or for any other construction dumpster and waste hauling needs in New York, NY. The experts at Arwood Waste can help review your construction, landscaping or remodeling project to make sure you have the size and service that will keep your construction site clean and orderly. On the job site, not only is having the right sized construction dumpster critical, so is having it positioned in the right way to make sure its easy to access and makes tossing waste and debris easy and convenient. If you’re in New York, NY and need a waste removal solution, call Arwood Waste today at 646-961-4342 to rent a dumpster today! We’ve surveyed the dumpster rental prices of Hometown’s locally owned dumpster companies and compared their cost to both Waste Management and so-called “HomeTown” dumpster brokers & directories. Bottle RefundsGet information about the bottle and can refund law or make a complaint about a store not accepting a container. Bulk Item DisposalLearn about throwing away a large item that does not fit in a garbage bin or bag. CFC and Freon Removal AppointmentSchedule or cancel a CFC (Freon) removal appointment. An appointment is required to remove CFCs from refrigerators, air conditioners, or any other cooling appliance before recycling. Commercial Recycling HandbookGet a handbook about how and what businesses in New York City should recycle. Commercial Waste DisposalGet information about garbage collection for businesses, including businesses in residential buildings. Composting InformationGet information on composting and the NYC Compost Project. Containerized Collection Service RequestsGet information about how schools, large residential buildings, and other institutions can request containerized collection service. Dumpster PermitApply for a permit to place a dumpster or debris container on a sidewalk or street. Electronic Disposal InformationGet information on how to dispose of electronics. Flammable Liquid Disposal InformationGet information about how to dispose of flammable liquids. Food Waste Drop Off LocationsInformation on where residents can bring their food waste for composting. Household Harmful Products BrochureGet a brochure about harmful household products. Leaf Disposal InformationGet information on how to dispose of leaves and grass clippings. Litter Basket Request or ComplaintRequest a public litter basket, report an overflowing or misused basket, donate litter baskets, or adopt a basket. Mattress or Box Spring DisposalInformation about disposing of mattresses and box springs. Medical Waste DisposalGet information about disposing of medical waste. Motor Vehicle and Bike DisposalGet information about motor vehicle and bike disposal. New Trash Collection Request for Residences and Non-ProfitsRequest garbage and recycling services at a new residential or institutional address. Organics Collection ProgramCollection of food scraps, soiled paper, and yard waste from selected neighborhoods. Plastic Bag RecyclingGet information about New York State’s Plastic Bag Recycling Law. ProFee Commercial Waste Disposal for Professionals in Residential BuildingsGet information on how businesses can have the City collect their garbage and recyclables. Propane Tank Storage and DisposalGet information about storing or discarding a propane tank. Public Space Recycling Program InformationGet information about a program that encourages recycling in public spaces. Rechargeable Battery RecyclingGet information about how to dispose of rechargeable batteries. Report a business that sells rechargeable batteries but does not accept them for recycling. Recycling or Trash Collection ScheduleGet information about recycling and trash collection days for a specific residential or non-profit address. Residential GarbageGet information about the proper disposal of household garbage. Residential RecyclingLearn about glass, metal, plastic, and paper recycling. Residential Recycling Stickers, Signs, and LiteratureGet stickers, posters, and other literature about recycling at home. SAFE Disposal EventsGet information on events to dispose of harmful household products, electronics, and pharmaceuticals..
School Recycling MaterialsRecycling materials and educational resources for K-12 schools. Special Waste Disposal InformationGet information about how and where to dispose of special waste such as batteries, oil, paint, and tires. Street Event CleanupGet information about garbage and recycling collection after a street event. Take It Back NYC BrochureGet guidelines for what businesses take back for recycling. Tire Disposal InformationGet information about how and where to dispose of rubber tires. Wood Disposal and PickupGet information about discarding lumber, tree branches, shrubs, and firewood, including wood debris on private property. The trash and recycling schedule for your home is based on your address. Place your items curbside on the curb between 4 PM and midnight the evening before a scheduled pickup. If your pickup is before 4 PM, you must retrieve trash and recycling bins by 9 PM. If your pickup is after 4 PM, you must retrieve bins by 9 AM the following morning. Suspensions may occur for a City holiday or during a snowstorm. Get the recycling and trash collection schedule for a specific address. Get the Department of Sanitation holiday schedule. When is my garbage or recycling day? Arwood Waste New Orleans, LA Division offers a variety of roll-off and construction dumpsters that are ready to meet the needs of any-sized construction or demolition project. From a small renovation or landscape project to a new building constructions, Arwood Waste provides the right-sized dumpsters, a reliable waste hauling service and competitive prices that will keep the project on time and on budget. Arwood Waste offers purchase, leasing and rental options for a variety of roll-off dumpster sizes and styles, as well as waste hauling service and maintenance options. Construction dumpsters are priced on the size of the dumpster, the weight of the trash and the costs for hauling the waste. We offer purchase, leasing and rental plans to meet any construction or renovation need. Arwood Waste offers competitive pricing and superior service. Be sure to call Arwood Waste first at 504-799-0650 to get roll off dumpster rental prices or for any other construction dumpster and waste hauling needs in New Orleans, LA. The experts at Arwood Waste can help review your construction, landscaping or remodeling project to make sure you have the size and service that will keep your construction site clean and orderly. On the job site, not only is having the right sized construction dumpster critical, so is having it positioned in the right way to make sure its easy to access and makes tossing waste and debris easy and convenient. If you’re in New Orleans, LA and need a waste removal solution, call Arwood Waste today at 504-799-0650 to rent a dumpster today! The Department of Sanitation directs all activities related to garbage collection, disposal, recycling, and street cleaning, including registration of new garbage and recycling cans. It is also responsible for ensuring compliance of local, state, and federal regulations for solid waste collection and disposal for the City of New Orleans. Find out how, when, and where to drop off household goods ranging from Mardi Gras beads to electronics to batteries and light bulbs. The city of New Orleans offers residential disposal service, but not commercial disposal. The city offers curbside trash and recycling services, but businesses need to hire a private waste hauler to handle commercial waste and recycling needs. This includes commercial properties, businesses, and residential properties of four or more units. Residential garbage collection is provided by Metro Disposal, Progressive, and Richard’s Disposal, all of whom are under contract with the city since 2006. A permit is required to rent a dumpster in some situations. You must obtain a dumpster permit when the dumpster is to be placed in front of your property in public view. The cost is $40. Additional charges apply if the dumpster is blocking the public right-of-way (e.g. street, sidewalk, etc.). Whether you are a large commercial contractor or a homeowner clearing out the garage, roll off construction dumpsters are ideal for any project size. We offer a range of roll off dumpsters all at an affordable price. Roll off dumpsters are ideal for commercial construction sites as well as for removing debris from home renovations, re-roofing jobs, foreclosures and more. You can choose containers as small as 10 cubic yards, perfect for smaller home renovations or yard waste cleanup, up to 40 cubic yard construction containers holding 5 tons of debris. We also provide recycling services for clean heavy debris, tree or yard debris, scrap metals, cardboard, paper, tires or even plastic. 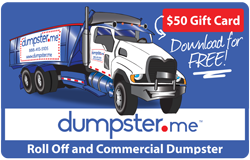 Roll Off dumpsters are delivered by truck to your site and emptied as frequently as you need. Each of our roll off dumpsters are filled from the open top and equipped with heavy pickup hooks and guide rollers with grease fittings for easy loading and unloading. After we deliver your roll off dumpster to you on-site, you fill it up and we will take it away. Learn more about renting your own roll off container dumpster. Find out which rental dumpster size, type and service will work for you. Our 10 yard top loading dumpster rentals are at an affordable price and they are perfect for junk removal, or your next small construction or landscaping project. Size: Their compact size makes them easy to fill without consuming too much property space. Only 4 feet high and 10 feet long, these dumpsters hold approximately 5 full size pick-up truck loads. Usage: They are ideal for projects such as flooring from a small room, clearing out a garage, or getting rid of small amounts of general household items. Our 15 yard top loading dumpster rental is larger than the 10 yard but still compact and easy to load. If you are unsure if the 10 yard dumpster is large enough, this size provides a unique compromise between the 10 yard and the 20 yard dumpster. Size: Four feet high and 12 feet long, the 15 yard container holds approximately 7 pick-up truck loads of debris. Usage: It is perfect for small basement, attic or garage cleanup, flooring or carpet removal, yard debris, small kitchen or bathroom remodel and much more. Our 20 yard top loading dumpster rentals are our most popular and are used for medium sized home renovations and projects. Size: These dumpsters are 4.5 feet high and 22 feet long and hold approximately 10 full size pick-up truck loads. Usage: This size can hold concrete, siding, landscape debris, brick, flooring or old carpet, or roofing debris from a large home. It’s great for hoarder clean out projects and is also commonly used for property management and tenant move-outs. Our 30 yard top loading dumpster rentals are perfect for small construction sites, major demolition projects or a new home construction. Size: These spacious dumpsters are 6 feet high and 22 feet long and hold enough debris for approximately 15 full size pick-up trucks. Usage: This size can handle anything from large cleanup projects and commercial construction, to manufacturing facilities and roadside construction. The 30 yard dumpsters are also commonly used for property management tenant move-outs. If you are starting a major home addition, demolition of a garage, large home clean out or a commercial clean out, the 30 yard is perfect for the job. These construction dumpsters can handle your largest renovation projects and commercial construction sites. Size: Our 40 yard roll off dumpsters are our largest size dumpster topping out at 8 feet high, 22 feet long and holding approximately 5 tons of debris. Usage: If you are undertaking a large-scale land clearing project, a total home or commercial demolition, or a massive storm cleanup these dumpsters are what you need. Commercial dumpsters are also commonly used in warehouse loading docks or other industrial facilities such as power plants and paper mills. Want to see what happens when your recycling cart gets emptied? Check out this video that shows how Nashville’s drop-off and curbside recyclables are processed and made into new materials. The city of Nashville offers bulk waste pick-ups, but doesn’t accept all materials/debris. Nashville allows trash removal of some bulk waste items removed via curbside pickup, one time per 30 days. Items that will NOT be accepted include tires, lumber, concrete, roofing, carpet, and more. See the full list. You can hire a Nashville Waste Company to dispose of materials not accepted by the City’s bulk waste pickup program. No yard waste or cardboard is allowed in commercial dumpsters. You must recycle these items or put them in separate containers away from mixed trash. As of 2015, no e-waste will be allowed in commercial or residential dumpsters or trash containers. You need a permit to place a dumpster in the public right-of-way. A lane or street closure permit is necessary if you place the dumpster on a Nashville street. The current cost (as of 2014) is $55 for up to five days. Each day thereafter is $10 per day. The same fees are required if the dumpster will be placed on a sidewalk. A permit is usually NOT required if renting a dumpster and placing on your private property. Call (615) 880-1000 if you have questions about Nashville’s trash collection program. Nashville is preparing to study how we manage our waste and recycling and how we can best manage in the future. Please take our survey and let us know your thoughts. Get more information about recycling including what goes in your curbside recycling cart. Don’t have curbside recycling? Find a recycling drop-off site close to you. The Brush and Yard Waste 2016- 2017 schedule of collection dates is now available . You can download the map for your area and sign up for email reminders. Metro trash and recycling customers whose collection day falls on a holiday (Veterans Day, Thanksgiving Day, Christmas Day, New Years Day or July 4th) will have trash and recycling pickup on the Saturday of that week. Residents who have questions or need further assistance should call (615) 880-1000. In the event that inclement weather makes accessing streets dangerous for collection staff, trash and recycling collection will be postponed until it can be safely resumed. Public Works trash and recycling customers should leave their carts out at the curb or in the alley until the carts are emptied. Collection staff will make every effort to resume normal service as soon as weather and road conditions permit. Customers with backdoor service may experience longer delays. Backdoor customers can assist Public Works collection crews by taking their carts to the curb or alley for collection during times of inclement weather. Back door collection will resume once Public Works determines that streets and driveways are safely accessible for collection staff. Check out our business recycling page for a list of service providers, waste reduction and recycling tips and more. Find out what goes in your curbside recycling cart and learn about Metro’s Recycling Education Room. Beginning July 1, 2015, electronics waste is banned from waste containers. Electronic waste is highly recyclable and there are multiple electronic waste recycling options for residents and businesses in Nashville to recycle these items. Learn about other changes to trash and recycling collection. Metro Public Works sells two types of compost containers. Metro Public Health recommends following EPA guidelines for disposing of used needles, syringes and other sharps at home. Residents of Nashville & Davidson County can take all types of electronics including computers and monitors (limit one computer system per household/month), printers, TVs, microwaves, music and video cassettes, computer disks, compact fluorescent light bulbs, and more. Learn more and find electronic waste drop-off locations. The Division of Waste Management provides trash collection to single-family residences in the Urban Services District. Trash collection is available to businesses in the Urban Service District (USD) and the Downtown Business District (DBD). The number of containers and the frequency of collection vary depending upon the location of the business. Businesses who have more trash than fall within the guidelines on the following pages, or who are outside the USD must contract with a private service for disposal. July 1, 2011 – Yard waste (including leaves and grass clippings) can no longer be placed in trash carts. Yard waste can be set out with brush for collection but must be placed in biodegradable paper bags. July 1, 2012 – Residents & businesses that use brown or gray Public Works trash carts — Metro no longer issues or replaces more than 2 trash carts for each address. Residents and businesses that currently have more than 2 trash carts will be able to continue their same level of waste collection service, however, will be charged for the collection and disposal fee for waste in additional carts. July 1, 2013 – residents and businesses throughout Davidson County will no longer be allowed to place cardboard, a recyclable material, in trash carts. Cardboard can be recycled through curbside ;recycling pick up and at all of Metro’s recycling drop-off sites and convenience centers. Metro curbside recycling customers may request additional recycling carts at no charge by calling (615) 862-8750 or (615) 880-1000. July 1, 2015 – residents and businesses will not be allowed to place electronic waste of any type in trash carts. In order to reduce possibility of stolen or lost carts, carts must be put away in a secure location after collection. Metro Code 10.20.110a specifies, “Containers may be placed for collection along public alleys, streets and sidewalks only between the hours of 7:00 a.m. and 7:00 p.m. on the scheduled collection day. At all other times, containers must be stored at a location at the rear or side of the premises or at a location approved by the Director so as to not be visible from a public street.” The cost for a replacement cart is $46.50. Residential Trash Collection and Business Trash Collection. July 1, 2011 – no yard waste will be allowed in trash carts. July 1, 2013 – residents and businesses throughout Davidson County will no longer be allowed to place cardboard, a recyclable material, in trash carts. Cardboard can be recycled at all of Metro’s recycling drop-off sites and convenience centers. A listing of Metro recycling drop off sites can be accessed at: http://www.nashville.gov/Public-Works/Neighborhood-Services/Recycling/Recycling-Drop-off-Sites.aspx. Get more information on Trash Collection in the Downtown Core Area. July 1, 2011 – no yard waste will be allowed in dumpsters or compactors. July 1, 2013 – businesses will no longer be allowed to place cardboard in trash carts. Businesses will be able to recycle by contacting their waste hauler or a private recycler. 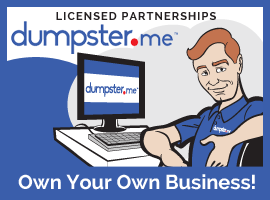 July 1, 2015 – businesses will not be allowed to place electronic waste of any type in dumpsters or compactors. Arwood Waste Montgomery, AL Division offers a variety of roll-off and construction dumpsters that are ready to meet the needs of any-sized construction or demolition project. From a small renovation or landscape project to a new building constructions, Arwood Waste provides the right-sized dumpsters, a reliable waste hauling service and competitive prices that will keep the project on time and on budget. Arwood Waste offers purchase, leasing and rental options for a variety of roll-off dumpster sizes and styles, as well as waste hauling service and maintenance options. Construction dumpsters are priced on the size of the dumpster, the weight of the trash and the costs for hauling the waste. We offer purchase, leasing and rental plans to meet any construction or renovation need. Arwood Waste offers competitive pricing and superior service. Be sure to call Arwood Waste first at 334-341-4129 to get roll off dumpster rental prices or for any other construction dumpster and waste hauling needs in Montgomery, AL. The experts at Arwood Waste can help review your construction, landscaping or remodeling project to make sure you have the size and service that will keep your construction site clean and orderly. On the job site, not only is having the right sized construction dumpster critical, so is having it positioned in the right way to make sure its easy to access and makes tossing waste and debris easy and convenient. If you’re in Montgomery, AL and need a waste removal solution, call Arwood Waste today at 334-341-4129 to rent a dumpster today! Truck / Vehicle – David Jordan & Company Inc.
We service approximately 70,000 customers per week following all State, Federal and local regulations and policies. Garbage Collection: Twice per week. Includes cardboard boxes. Trash Collection: Once per week. Bulk Trash Collection: Every 1st and 3rd Saturday from 9 am-3:30 pm. We have a partnership with “Bridgestone” Firestone Service Centers in Montgomery. They will take old tires, batteries and oil from local residents free of charge. Thank you Bridgestone! The City no longer accepts used motor oil. Find a location near you. The Montgomery Clean City Commission (MCCC), oversees all aspects of the Christmas Tree recycling program. All old trees can be brought to Saturday trash collection points. The recycled trees are mulched or used for fish hatcheries in local lakes. Montgomery Humane Shelter – Shredded paper (long shreds) can be dropped off by the front doors at any time. Any other tangible items should be brought to the shelter Monday – Saturday 8 am – 5 pm, and Sundays 12 pm – 4 pm. The Montgomery Clean City Commission (MCCC) also holds a shredding event twice a year. At the present time Home Depot is the only store that accepts the spiral type of these bulbs. Desktops, laptops, CPUs and towers, printers, copiers, fax machines, scanners, keyboards, mice, servers, phones, cell phones, pagers, PDAs, medical electronics, VCRs, DVD players, cameras, camcorders, TVs, TV dish boxes, radios and much more on Thursdays from 8 a.m. – 2 p.m. at theMcInnis Recycling Center. $10.00 Charge for old TV’s and CRT’s. Grease recycling is good for the environment and reduces sanitary sewer problems. Call 334-206-1600 or visit www.grecycle.org for more information. 334-281-7366 Mount Scrap Material Co. Does the city of Montgomery, AL pick up building materials curbside? No. Although the city does offer bulk pick-up of one or two items to be placed curb side, any remodeling, C&D (construction & demolition debris), and building materials is the responsibility of the owner, contractor, property manager or tenant. Do I need a permit when renting a dumpster in the city of Montgomery? Ask your selected dumpster rental service for clarification of the permit rules within the city limits. If the dumpster will be placed on a right of way within the city, must be filed and approved by Montgomery’s Traffic and Engineering Dept. Contact the Traffic and Engineering Department directly at (334) 625-2910. Is there a charge for the permit through the city? No. Montgomery does not charge a fee for a dumpster rental permit. If you have additional questions, here is an FAQ for Montgomery Sanitation and Recycling guidelines. Arwood Waste Modesto, CA Division offers a variety of roll-off and construction dumpsters that are ready to meet the needs of any-sized construction or demolition project. From a small renovation or landscape project to a new building constructions, Arwood Waste provides the right-sized dumpsters, a reliable waste hauling service and competitive prices that will keep the project on time and on budget. Arwood Waste offers purchase, leasing and rental options for a variety of roll-off dumpster sizes and styles, as well as waste hauling service and maintenance options. Construction dumpsters are priced on the size of the dumpster, the weight of the trash and the costs for hauling the waste. We offer purchase, leasing and rental plans to meet any construction or renovation need. Arwood Waste offers competitive pricing and superior service. Be sure to call Arwood Waste first at 209-846-2004 to get roll off dumpster rental prices or for any other construction dumpster and waste hauling needs in Modesto, CA. The experts at Arwood Waste can help review your construction, landscaping or remodeling project to make sure you have the size and service that will keep your construction site clean and orderly. On the job site, not only is having the right sized construction dumpster critical, so is having it positioned in the right way to make sure its easy to access and makes tossing waste and debris easy and convenient. If you’re in Modesto, CA and need a waste removal solution, call Arwood Waste today at 209-846-2004 to rent a dumpster today! To look up the garbage company that services your home, view the service area map. Please do not place items out for collection until the evening before your scheduled appointment. Do not block sidewalks, fire hydrants, storm drains, garbage cans, etc. Does Modesto require that I rent a dumpster from a specific hauler? No. Residents, contractors, and construction professionals in Modesto are free to rent a toilet from the hauler of their choice. While regular garbage collection is franchised with contracted haulers, temporary dumpster rental is open. Both of these companies participate in recycling programs, solid waste management, and the bulk trash collection program. Consider utilizing the free city resources if you just have a few bulky household items to throw away. Our portable toilets are the perfect solution for your next special event, race, wedding, festival or large group gathering. We provide clean and reliable porta potties that provide a fresh experience for your guests. 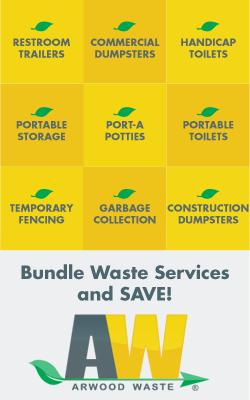 AW Waste Management of Mobile partners with pre-screened, local providers to deliver the most affordable rates and highest quality. Our variety of restroom trailers means you can find the perfect size and amenities at the right price.AW Waste Management of Mobile offers waste management for any project. With over 25 years of experience, we’ll meet your needs for portable toilets, dumpsters and event boxes, showers and sinks, and restroom trailers! We offer individual restrooms with flushing units and sinks as well as hand sanitizers and hand wash stations to keep your event or job site clear of waste. Our portable sanitation units will be delivered with all accessories and features. Planning an event? Renting for the first time? Need to rent a permanent solution for an ongoing site? Let us guide you through the process. Truck / Vehicle – Circle J Roll-Offs Inc.
Search by address: Use the GIS Department’s “My Place”. Enter your address to retrieve details, including trash and garbage pick up days, District information and more! Residential Trash Pickup: Residential Trash Pickup is scheduled every other week. Check map for dates in your area..
Trash Collection Rules: Helpful information concerning what is defined as trash and what the City will pick up. Automated Garbage Collection Instructions: Helpful information that will acquaint you with the City’s automated garbage service. Telephone Numbers: If you need to reach the City of Mobile Trash Department, here is a list of phone numbers. Keep Mobile Beautiful: Recycling Information. The City collects bulk waste every other week of up to 2 cubic yards (3’ x 3’ x 6’). It doesn’t take all types of waste. For construction and demolition debris, rent a dumpster. This type of material isn’t accepted by the City for residential bulk waste pickups. Open Seven Days a Week – 8:00 a.m. – 5:00 p.m.
You may place yard waste, prepared to collection guidelines, out each week on your garbage day. Minnesota State law prohibits disposing yard waste with garbage and requires the use of compostable bags for collection of yard waste. Visit our Yard Waste webpage for more information. Yard waste collection will end the week of November 14, 2016. Zero Waste Stakeholder Engagement Meetings: The City invites you to participate a community stakeholder meeting for the residential sector on how to achieve zero waste in our community. Your feedback will be used in developing a zero waste plan for the City of Minneapolis. For more information on the zero-waste stakeholder meetings or to RSVP click here. Organics Recycling: Sign up now. 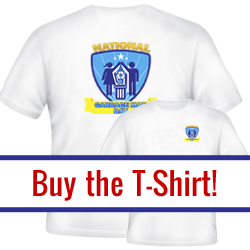 There’s no extra cost to participate! Organics are collected weekly on your regularly scheduled collection day. Find more information on our Organics Recycling webpages. Our last organics training session for the year is scheduled for Thursday October 13, 2016, 6 – 7:30 p.m. at Windom Park Northeast (2251 Hayes St). for Come get your organics recycling questions answered with hands-on learning, demonstrations and tips that make organics recycling easier in your home. Learn what happens to organics once they are collected. Pick up a yard sign to promote the organics recycling program. Hear about the City’s new Recycling Block Leader program and how you can sign up to be the leader on your block. RSVPs are encouraged but not required. RSVP here. Home Container Labels: Label containers in your home so guests know how to properly sort their waste. Stickers are available for your interior recycling, organics recycling, and trash containers located throughout your house. To order stickers to help improve your home collection system, call Solid Waste & Recycling at 612-673-2917 or email your request including the number of each type of stickers you want to [email protected]. Should you require a reasonable accommodation in order to fully participate, or information in an alternative format, please contact Solid Waste & Recycling at 612-673-2917 or by emailing [email protected]. Residential trash hauling is handled by the city. Residents of Minneapolis living in dwellings of four or fewer units must have their trash handled by the city and the companies it contracts the work to. The city has a list of approved, licensed solid waste haulers for you to choose from. If you need to have your rented dumpster placed on a city street or other public right-of-way, you’ll need a permit. Most solid waste haulers will handle this process for you. Where does all my waste and debris go? Minneapolis sends very little waste to landfills. About 68% of it is turned into usable energy for the city at its waste-to-energy plant. A large majority of trash, construction debris and other waste is recycled. Only about 4% makes its way to landfills. New garbage and recycling schedules are now in effect beginning Monday, April 4, 2016 through March 31, 2017. Residents must roll their garbage and recycling carts to the curb by 7:00 a.m. on the designated collection day. Sanitation crews will not collect the carts from their storage areas. 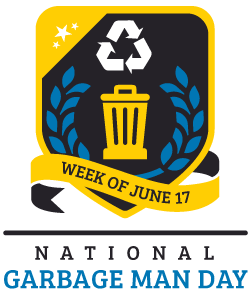 Please note your day of garbage collection will change after each city holiday and furlough day. Guaranteed Summer Recycling Schedules – Citywide! From mid-April to Thanksgiving, residents will receive recycling pickup on guaranteed dates. Most households serviced with carts will receive collection every three weeks. Residents serviced with bins will continue to receive once per week collection. How will I know when my collection dates are? Look for collection schedules which will be placed on your recycling cart in the spring, or check the online schedule to look up your next recycling and garbage collection dates. Thanks for recycling! Together we are helping to keep Milwaukee Clean & Green. The City of Milwaukee offers bulk waste removal for small amounts of debris. Call 286-CITY (2489) if you want to use the City of Milwaukee for bulk waste collection. Rent a trash container from any licensed Milwaukee dumpster rental company. Each business in Miami, FL is different, but no matter what product or service you provide, Arwood Waste can make operations easier and stress free by providing custom designed waste removal services that put all the hassle in our hands. Our trash dumpster rental services are second to none. Arwood Waste has plans for restaurants, construction, retail stores and chains, property managers, manufacturers, healthcare providers, the hospitality industry and multi-location businesses. We’ve got rental dumpster bins that are economical and convenient for every business. Feel free to call anytime786-298-2087. For all your commercial dumpster needs, call the experts at the Arwood Waste Miami, FL Division at 786-298-2087 or email [email protected] today. Solid Waste Management provides waste collection and recycling services to more than 300,000 households in unincorporated Miami-Dade County and eight municipalities, including Aventura, Cutler Bay, Doral, Miami Gardens, Miami Lakes, Palmetto Bay, Pinecrest and Sunny Isles Beach, as well as mosquito control for Miami-Dade County. Truck / Vehicle – J&A Waste Corp.
You must choose from a list of franchised waste haulers for commercial dumpster service. The City maintains a franchise agreement with several licensed waste haulers for commercial dumpster service at businesses and multi-family homes. ***Keep in mind that this applies only to commercial dumpster services, not to residential curbside services or roll-off container rentals. Businesses are required to recycle. All businesses within Miami-Dade County are required by law to recycle. You can choose any permitted commercial waste recycling company for these services. You can choose a private waste hauler for roll-off dumpsters. You can choose any private waste hauler for commercial or roll-off dumpster rentals, as long as they are permitted to haul solid waste within city limits. The County is using aerial spraying to actively control the mosquito population in Wynwood and Miami Beach. These are the areas of confirmed locally transmitted Zika cases. Mayor Carlos A. Gimenez has issued a statement on aerial spraying for mosquito control in Miami Beach. Solid Waste Management is launching a new web application to help permitted private haulers accurately determine the Disposal Facility Fee (DFF) Area as defined in Section 15-1(r) of the Miami-Dade County Code. The interactive web application allows haulers to enter a service address to determine DFF applicability and displays the physical location of the property. Additional features of the new app include the ability to print a search record and access to an online map that displays the location of all Solid Waste Management facilities. While the Department of Solid Waste Management has done its best to ensure the accuracy of the information contained on the DFFA map and the web application, each private hauler remains responsible for ensuring that DFF eligible service accounts are included in monthly DFF reports and payments. Illegal dumping is a serious crime that can harm our environment and make our neighborhoods look bad. Learn how to report it online, and ways to properly dispose of your trash without dumping illegally. Home composting of yard waste and select kitchen waste takes materials that could wind up in a landfill and converts it into compost, a useful product for our South Florida gardens. Anything that was a plant can be composted. See the schedule of upcoming workshops and their registration status. Get a refresher on what to recycle to keep your cart happy. Thanks to your enthusiastic participation, Miami-Dade County’s single-stream recycling program is having quite a positive impact on our environment. Take a look at our Recycling Happy Facts and learn more about how your recycling efforts are making a difference!